/ Project Management / How do I delete a project? A project can be deleted by finding the project in the projects section then clicking on delete in the left-hand column. This will take you to a confirmation dialogue where the deletion must be confirmed. For a project that has a healthy amount of data accumulated we recommend setting the project to inactive. 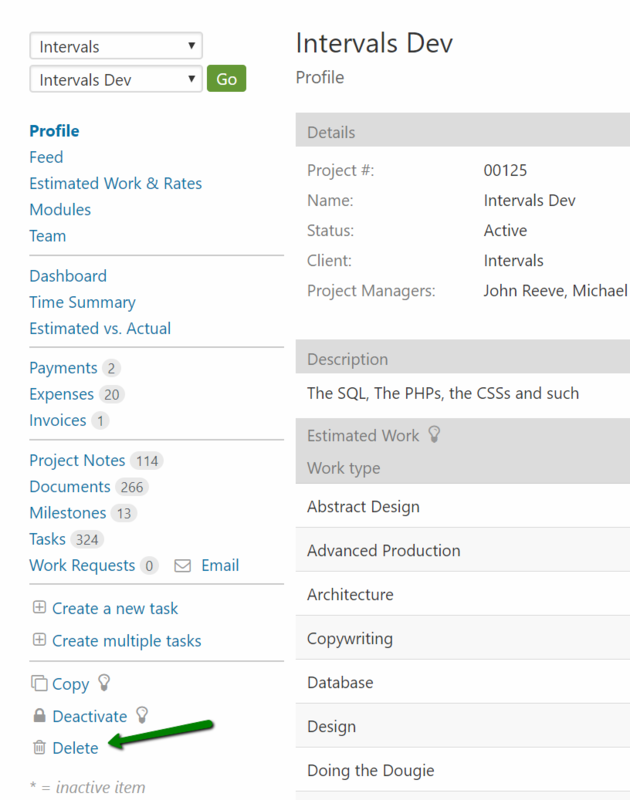 When a project is inactive it is archived and no new tasks, time, documents, etc. can be added to the project but the project data is preserved. The most common use case to delete a project is if it a duplicate project with no or very little data associated with it. Can I delete documents in bulk when a project is complete?